HÀ NỘI — Domestic airlines have been asked to minimise delayed or cancelled flights during the upcoming holidays to mark Reunification Day (April 30) and Labour Day (May 1). Lại Xuân Thanh, head of the Civil Aviation Authority of Việt Nam made the order through a recently signed directive, aiming to ensure the quality and safety of air services during the holidays. 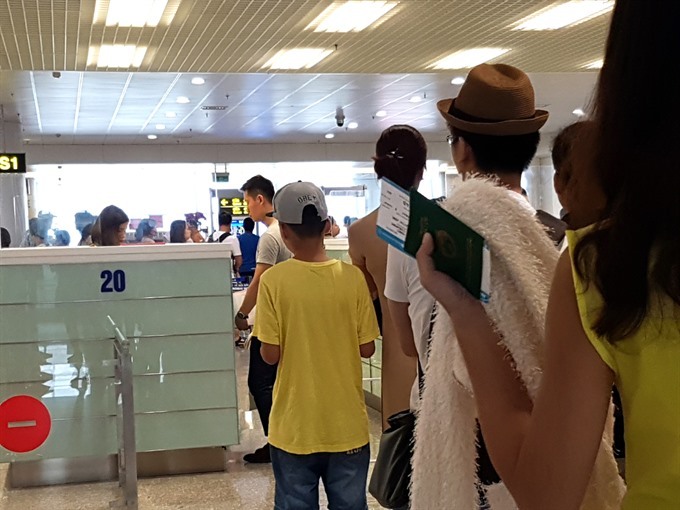 Thanh said domestic airlines had provided additional flights at non-rush hours to avoid jams in the airports to meet increasing demand for travel. The number of flights from Hà Nội/HCM City to Đà Nẵng will increase by more than 100, from Hà Nội/ HCM City to Phú Quốc by 40 and Hà Nội/ HCM City-Nha Trang by 18. The Airport Corporation of Việt Nam was told to co-operate with localities’ administration, public security and relevant agencies to guarantee the safety of air services, he said. The corporation was required to carefully check passengers’ luggage to discover dangerous objects that could threaten safety on flights, he added. Additionally, smuggling and fraud via flights must be prevented, he said. Thanh tasked the Việt Nam Air Traffic Management Corporation to arrange enough staff to control air traffic during the holidays. All taxi services authorised to serve airports were requested to put additional vehicles in operation and commit not to raise prices even at rush hours or late at night, he said. In a related move, the Hà Nội Coach Station Management Company plans to run an additional 410 trips from April 28-29, mostly from Hà Nội to Phú Thọ, Quảng Ninh, Thanh Hóa, Thái Bình, Nam Định, Lào Cai, Sơn La and Điện Biên provinces.